A Nasaibitu villager on the new footpath. 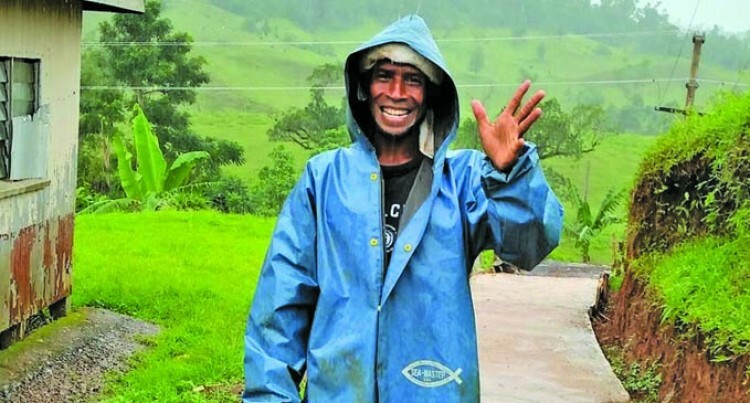 Until recently, when it rained in the village of Nasaibitu outside of Korovou, Fiji, footpaths frequented by the villagers turned to slippery, messy mud puddles. Navigating the muddy mess caused by the rain created real problems for the villagers. The village partnered with Latter Day Saints Charities and came up with a solution. LDS Charities would provide materials for a footpath and drains around their village, then locals would supply the labour for construction. Once a week the villagers gather to work on the footpaths. Even though the process is slow, it has been a blessing for the villagers to contribute the work to the project which replaces mud with a reliable and stable path with drainage. LDS Charities representatives Elder Russell Perry and Sister Wendy Perry—who serve as full-time humanitarian missionaries for The Church of Jesus Christ of Latter-day Saints—are excited for the completion and official handover ceremony.